The love of a mother is a powerful force. Indeed, it is a force that can change the course of a life. 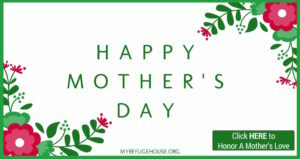 We are in awe of mothers, especially our House Mothers, every day at My Refuge House! 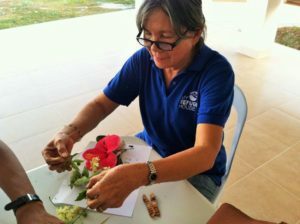 Ate Pat (pictured here) has been a House Mother at My Refuge House since our doors opened in 2008! She has helped raise each and every one of the over 40 girls who have been in our care. 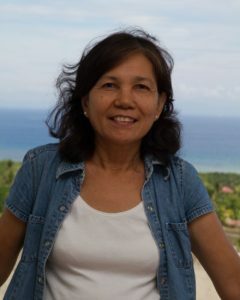 It is tremendously bittersweet to announce that Ate Pat is retiring from her role as House Mother this month. We are filled with gratitude for her years of service and love. 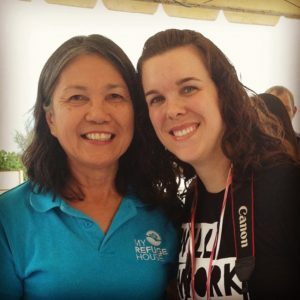 We are also filled with gratitude that she will remain a part of the My Refuge House family as a volunteer. 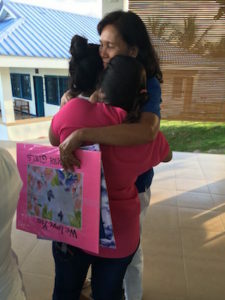 As a reflection of our gratitude for Ate Pat, we celebrate Mother’s Day this year by uplifting her and the love she has shared with everyone in the My Refuge House family! We will share reflections and anecdotes about her throughout the upcoming week. Reflections will be added to this blog and our social media, so please stay tuned for inspiration! 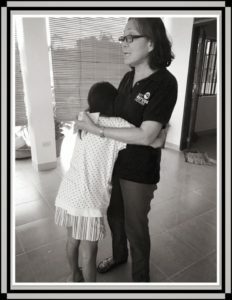 One of My Refuge House’s greatest blessings has been through the work and ministry of Ate Pat. I never knew that such a strong and steadfast spirit could be in equal parts so gentle and loving. From the beginning of MRH, through its most tumultuous times, she has been there. 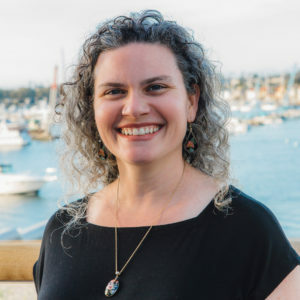 She has seen it through many staffing and leadership changes and has, in her kind way, perhaps influenced MRH more than any single person. I don’t know of a single group, person or staff member who hasn’t spoken glowingly about Ate Pat. Often people would come back from visits to MRH and the common phrase we would hear is “I love Ate Pat” or “Ate Pat is wonderful”. She has touched so many people, so many girls and staff that consider her their mother. She has been a good and faithful servant. I can only write I am so thankful to God that He, in His divine wisdom, knew of this person that MRH needed so much and sent her to this ministry. As a Family Therapist and Gallup Certified Strengths Coach, I try to keep up with various developments in both of those worlds. In the last year, these two worlds overlapped more directly along with my interest and hope for being the best mom I can be. I recently re-read Mary Reckmeyer’s Strengths Based Parenting: Developing Your Children’s Innate Talents. In short, the book is a life-giving and easily applicable read about Gallup’s latest research regarding how we can use our own talents to develop the unique talents of each child. The timing for this re-read seemed fitting for Mother’s Day. Ate Pat individualizes how she thinks about each of our girls. She has a positive belief in and knows specifically how to motive each one. 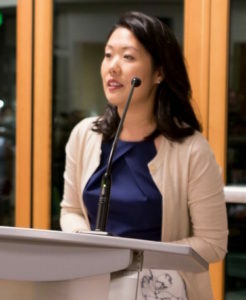 When Ate Pat describes our girls, she can talk vividly about the talents each one brings to our community. She’s able to provide direction and structure while also making sure each girl feels supported, recognized, and special. Ate Pat also makes sure we never miss an opportunity to celebrate accomplishments. It is astounding that (without any hyperbole) this rings true for Ate Pat. 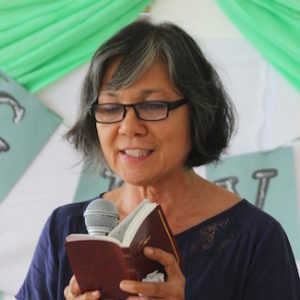 It is always great to have affirmation, but I assure you that it does not take a book to know that Ate Pat has been amazing and effective in the way that she has shared her heart and wisdom with the girls of My Refuge House. All it takes is a single moment of watching her do what she does best. Please feel free to email or leave a comment below for Ate Pat. We will make sure that Ate Pat gets to see all of the prayers and well-wishes left for her as she journeys into her life of retirement and volunteer work. for girls and young women. We were still developing our clinical program and knew that hiring staff, particularly house moms, was critical to providing the best care possible. From day one, Ate Pat was the kind of house mother we needed. 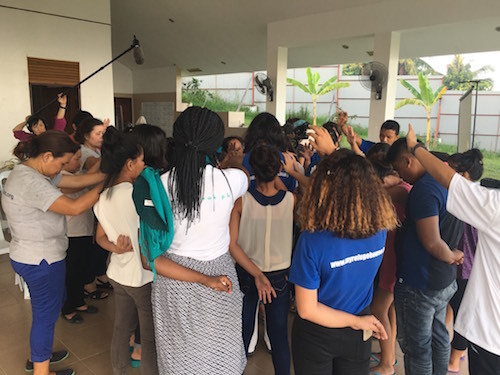 A calm and patient spirit and a natural ability to build trust, empathy, and unconditional regard are not easy to deliver when working with young women in crisis who are suffering from deep trauma. Ate Pat embodied all of this with remarkable strength and grace. She not only saw this as a job, but actually a ministry motivated by her love for Jesus and the hope that only He can bring to those who need it most. Every girl and staff person who has been in her presence will testify to that. I will always be grateful for her encouragement to me and my family during our time in Cebu. Thank you Ate Pat for your caring heart and ministry of healing! Ate Pat, when I think about My Refuge House, I realize that you have been the one constant. I remember when we first met, I thought how fortunate we were to find someone as warm and loving as you. There’s something about you that makes people feel safe and loved. You have made MRH what it is. Because of your love, I know so many lives have been changed. So it’s bittersweet to know that you are stepping down but I am glad that you will stay on as a volunteer. I pray that your retirement years will give you the much deserved rest that you need. And I also pray that you will flourish in all the new things you will set your heart towards. May the Lord bless you richly. And THANK YOU for all that you have done! Good day, malipayon ko nga nagkauban ta sulod sa pipila ka mga katuigan, ikaw ang naila nga Nanay sa tanan dinhi sa MRH, ug maayong ehemplo sa pagkinabuhi ug pagkamatinud-anon sa buluhaton, salamat nga nakapaambit ka sa imong Christian life ug sa imong pagka maayong moluto, salamat pud sa mga pagdasig ug pagpasabot sa mga butang nga akong gikalibgan, salamat pud kayo sa imong pagsalig nako isip imong kauban sa trabaho. It was 2011 when I first met Ate Pat in our Cebu office. Her face was full of excitement as she was preparing for her computer class. Her voice was calm, soft and loving. Her eyes were glowing with joy. Above all, her youthful spirit was as contagious as her faith. And I said to myself, “I want to be as calm and loving as this woman when I get older”. When I think of stillness and courage, I think of Ate Pat. She is one-of-a-kind woman who knows how to be still even at knife point. I still remember that time when one of our girls was holding a knife and it was her who bravely went to the kitchen and took the knife away. Yes, she ain’t young but she ain’t scared to handle crisis, too. Ate Pat is never scared to respond to crisis and I admire her for that. I want to quote the girls during Ate Pat’s goodbye party when they said, “Thank you Nanay Pat for introducing Jesus to us”. Yes, Ate Pat is a woman of faith and she was never selfish about it. She shares Jesus’ light to us through her life. She is our spiritual mother. She is indeed a woman after God’s own heart. Ate Pat and I have seen each other’s life for the past 6 years. Being one of the first few staff in 2011, we’ve shared our own stories of ups and downs in life. I saw how her determination and love for her work grow through the years. She saw me struggle into a leader God wants me to be. As she saw me grow maturely year after year, I also saw her grow younger as she gets older. We invite you to join My Refuge House for Mother’s Day by honoring Ate Pat or the amazing mothers in our lives…biological mothers, chosen mothers, mothers who lost a child, mothers who raised children into old age, mothers never known, and mothers near and dear. Click below to honor a mother’s love with a unique and purpose-full gift for Mother’s Day. You can give in honor or memory of the women who have impacted your life with their love! Every gift will receive an email with a link to an image that can be shared on social media or printed to use for a card. What we do right now matters.